So hey guys, this n00b is back again, needing your help. I've been keeping up with the latest Dolphin downloads (it isn't part of the issue, but none the less), and I accquired several copies of Dolphin just sitting on my Desktop. So I decided to go and delete everything Dolphin related. (Cleared Documents folder and any folders sitting on my Desktop, and then cleared them out of the Recycling Bin.) This way, I can start fresh and new. 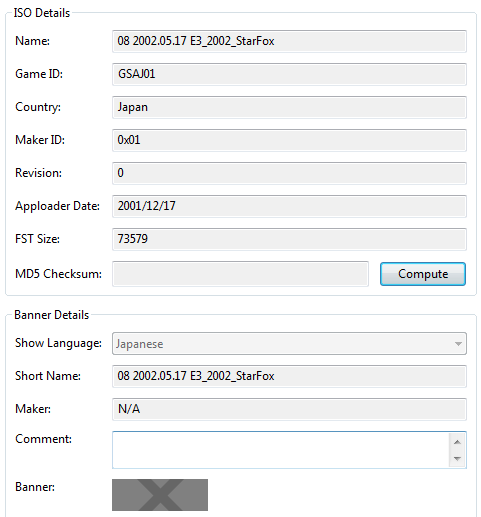 Well, on the launch of the Kiosk Version of Starfox Adventures (it was like this even before I deleted all the files and folders) it says I need to go to the IPL to format my memory card. I just want to know for future reference, if I do play a game that isn't in the right region, how I would go about formatting a memory card, especially since in the newer versions of Dolphin, Skip BIOS cannot be tampered with, to access the Memory Card Manager, however if you launch a game, it'll show under Config as enabled, when if you're not running a game, it's not shown as enabled, but you still cannot touch the feature. I'm about 80% it's because it's the Kiosk version, but just to be safe, I figured I'd go ahead and post a thread about it, especially if I encounter it on the final retail versions of any games that happen to be out of the original region. Thanks guys! 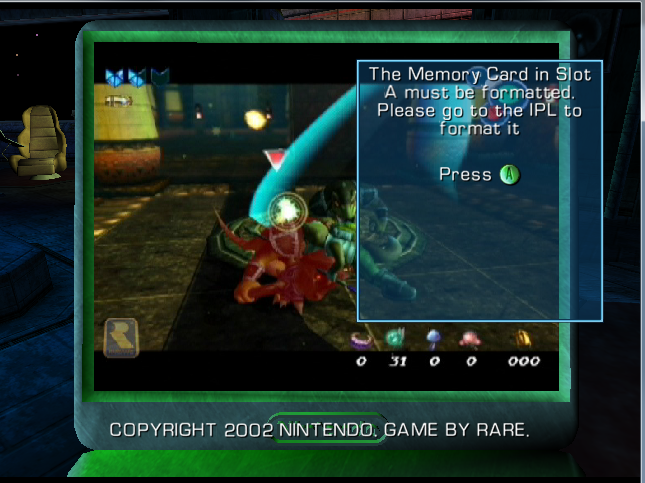 When you play a game from a region that you haven't played before, it will ask you to format a memory card. Then Dolphin should create MemoryCardXYYY. I don't know what a kiosk version means, so if you could explain that it would be helpful. However, if I were you, I would extract the data from your memory card, put it somewhere safe, format the memory card, and then import it back in. Basically, cut it out, format, put back in. Kiosk meaning it's not the final version of the game. It's an earlier version. Not the retail. I remember growing up and some kiosk versions in stores like Kmart and Walmart (in a plastic box for you to try some games on) wouldn't let you save your game, either because it wasn't programmed in, or because they didn't waste a memory card on the setup in-store. However, I will attempt that again, I suppose. depending upon the region of the card you want to create. If you have Windows set to hide file extensions, then you may need to remove the .raw. If you want to create a second memory card, then change the A to a B. Paste that text onto the end of the path displayed in the memory card manager, and Dolphin will ask if you want to create a new memory card with that name. Say yes, and then Dolphin will ask if you want to create an NTSC-U/PAL card or an NTSC-J card, so pick pick NTSC-J if you're making a Japanese card; otherwise, pick the other option. Now go into the GC settings menu and select Memory Card for socket 1 or 2, depending upon whether you just created an A or a B card. Your game should now see your memory card as formatted, assuming you have a card with the right region for the game you're playing. That ended up working. Thank you Aleron. It finally accepted a save.